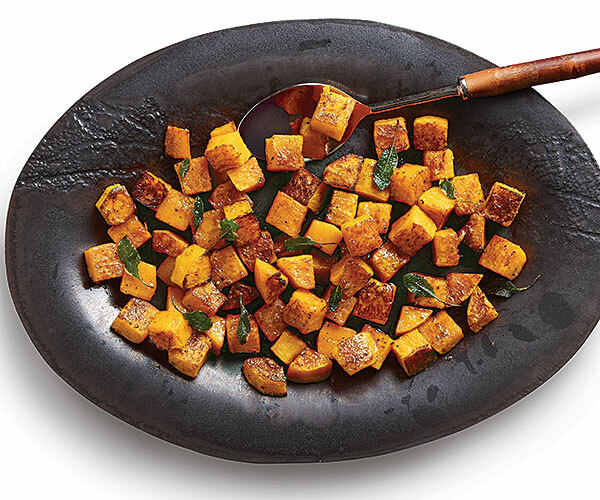 With this hybrid technique, the squash steams then roasts at high heat so it’s velvety tender and beautifully golden brown on the outside. For a classic pairing, sage is briefly cooked in butter before mixing with the squash. It becomes delightfully crisp, and its flavor infuses the butter. Toss the squash with the oil, 1/2 tsp. salt, and a few grinds of pepper on a large rimmed baking sheet, and spread in a single layer. Cover tightly with foil, and transfer to the oven to steam for 5 minutes. 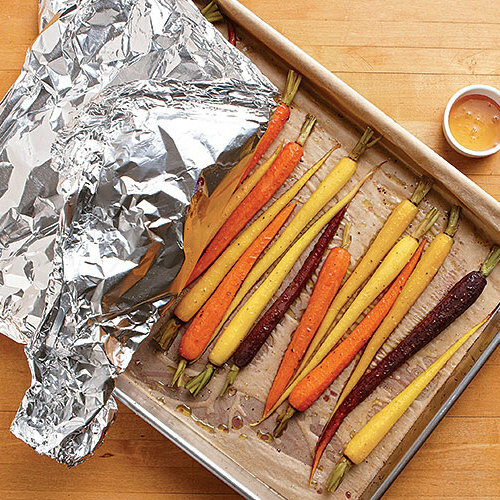 Carefully remove the foil, rotate the baking sheet, and roast for another 10 minutes. Flip each piece of squash over, and for the most even cooking, move the pieces in the center of the pan to the edges and vice versa. Continue roasting until the squash is tender and deeply browned, 12 to 15 minutes more. Transfer to a serving bowl. Melt the butter in a small skillet over medium heat until the foam just subsides. Add the sage, and cook until crisp, 30 to 60 seconds. Swirl in the lemon juice. Pour the sage and butter over the squash, season to taste with salt, and serve. I made this recipe and began with the oven set at 500 degrees. I steamed the squash at this temperature for five minutes, removed the foil and turned the oven down to 425 degrees;, from there, I followed the recipe. The squash turned out delicious and lightly browned. Made an excellent side dish with braised pork chops. Can you imagine what the smoke would be like at 500 degrees? Cannot wait to hear if this really works in an "ordinary" kitchen,even with a great vent. This recipe would be delicious if the oven setting in the recipe were correctly stated. There is no way that 500 degrees can be correct! Maybe it should be 400.